After sharing the above image with other modelers, someone asked if I would be adding rivets to the model. 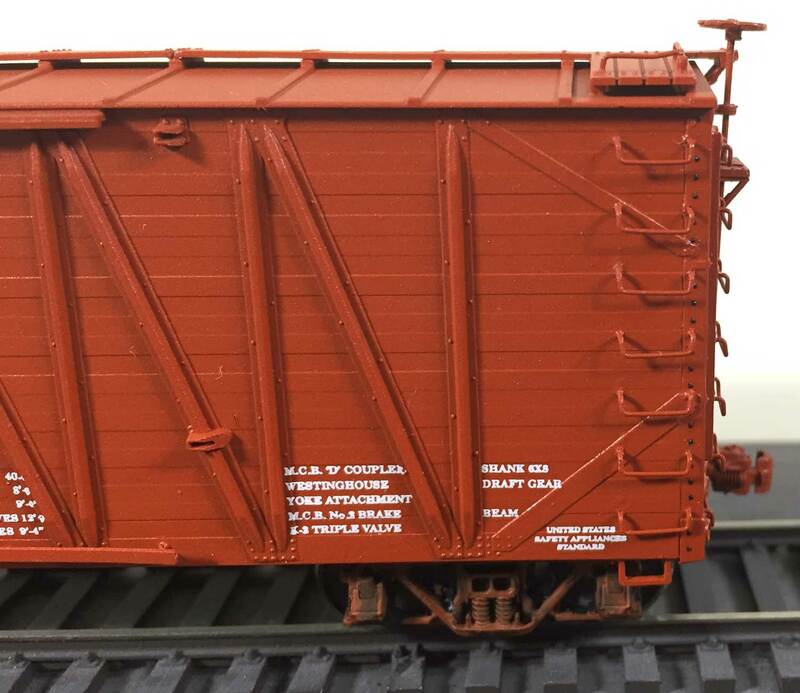 The box car is an HO scale Tichy Train Group USRA single sheathed box car kit and apparently the end castings were tooled without rivets on the sides of the end piece to ease the production process. In the image above, note the smooth vertical strip at the very end of the car. I had heard these kit ends lacked some detail on the end castings but I was unaware of the specific nature of the issues. I had a package of Archer Resin Rivet Head decals on hand so I thought I’d put them to use. Archer has been making hobby news for a few years with a variety of cast resin details that are printed on decal paper. I had splurged on a rivet head set at the 2016 Valley Forge RPM meet and was very happy to find it among my decal stash. 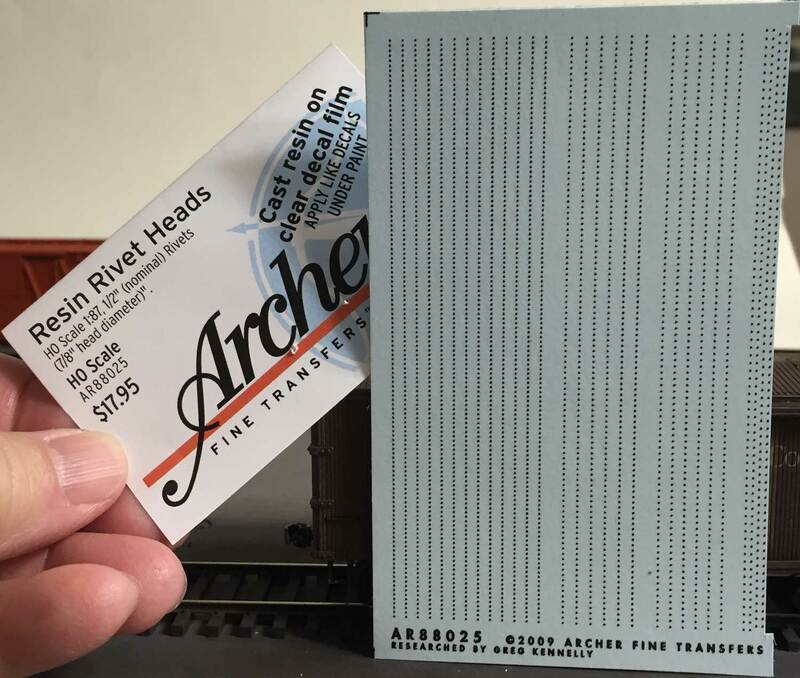 This Archer product (AR88025) represents HO scale rivet heads that are 7/8 inch in diameter. This sheet has three different groups of rivets that have slightly different spacing. The left group has scale 2.75-inch spacing. The left middle group has 3.25-inch spacing, and the right middle group has 3.75-inch spacing. The far right group has a 4.5-inch spacing and set close to the other rows in order to use on steam locomotive tenders. I liked the 4.5-inch spacing best for the Tichy models and cut a strip away from the sheet. I applied rivets to the left end of the car first as there were longer stretches for the application. This gave me some practice before applying the rivet decal strips between the grab iron attachment points on the right end of the car. This model had a gloss coat applied for the lettering decals so the surface for the Archer rivet decals was already prepped. As you can see, the dark rivets stand out on the bright surface. There are four strips of rivets applied here; two strips are seven rivets long, one is six rivets long, and one has only two rivets. These went onto the model very quickly. A wood toothpick was used to line them up and decal set was brushed over them so they snuggle down onto the model surface. I prepped the rivet strip for the other end of the model. These are a mix of two and three rivet strips cut to length for installation between the grab irons. Yes, this looks tedious, but once you get rolling on these the work goes very quick. I found it easier to apply these Archer rivets than to cobble together various numbers to display a proper reweigh date on the car sides. 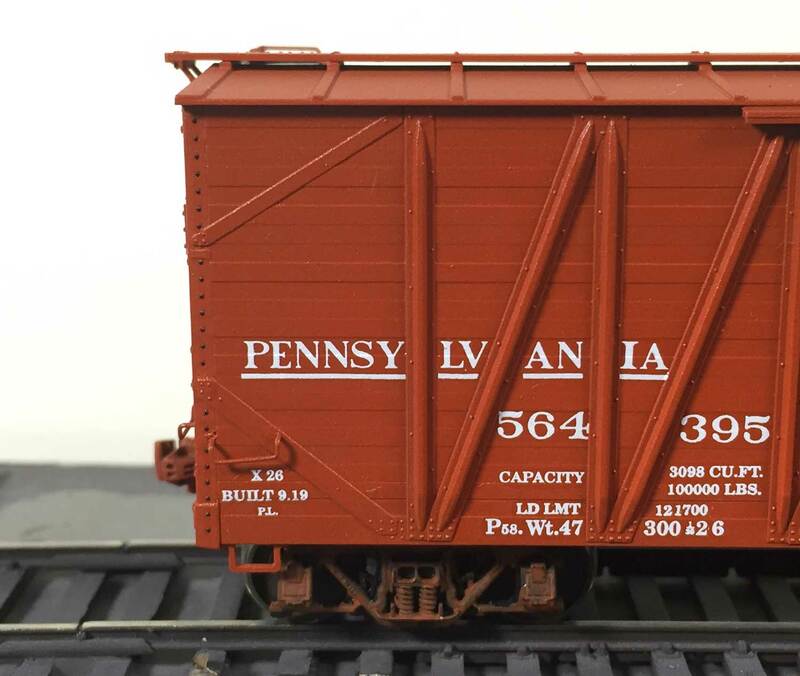 After applying the rivets to one model, I turned to a couple more Tichy USRA box cars that were recently decaled and added the rivets. After the decals dried for a day, they were touched up with Vallejo paints applied with a fine tipped brush. All three box cars were in service for the latest Wheeling Freight Terminal operating session. 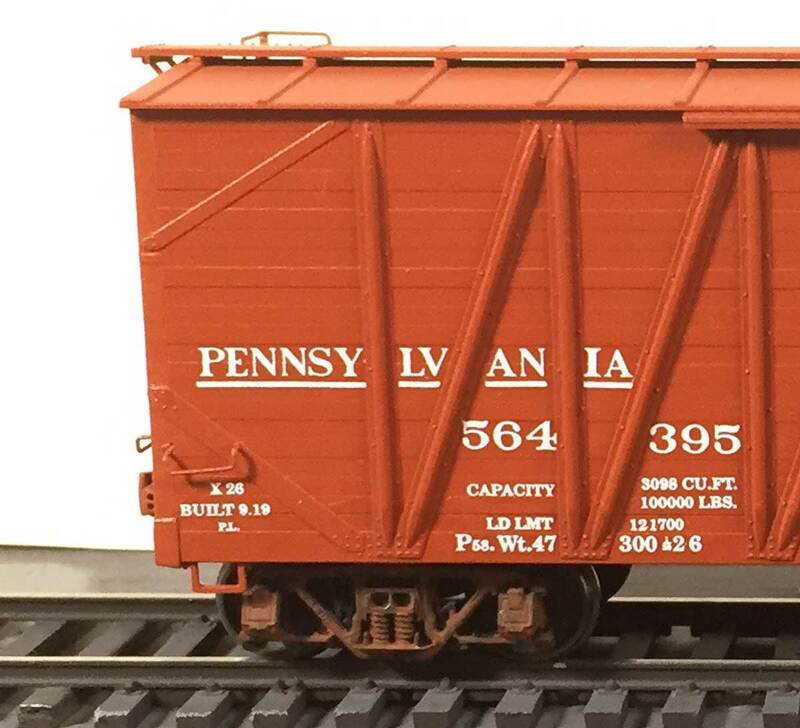 Once I realized the Archer rivet decals could easily improve the Tichy USRA box car kit, I moved forward with the upgrades. These cars had not been weathered and still had a gloss surface from recent lettering applications. The cost of the Archer sheet is listed as $17.95, but I just upgraded three models and a fourth is lurking on the layout undecorated. The price breaks down to $4.50 per model, but the decal sheet has plenty of rivets for additional projects. Archer has a wide variety of surface detail decals in their line and many can be used to easily upgrade freight cars. The archer rivets really improve the model. Well worth the effort. Great looking cars, enjoyed reading your post on using Archer rivets. makes it clear that the result is well worth it for the small effort required.